A morning paddle on Lake Umbagog for sunrise was a bit of a bust, but the lighting later on in the morning proved to be even more unusual. 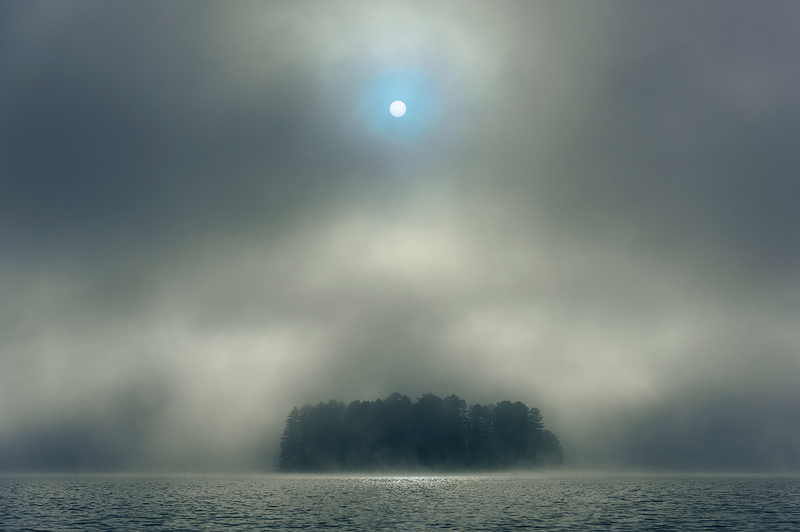 As the sun rose higher, fog began to burn off the lake revealing Metallak Island. I paddled to center the sun over the island and created a balanced composition. The fog and water merged as one for this image.